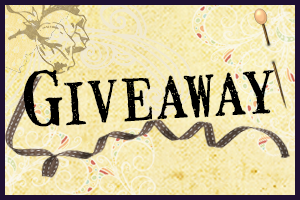 Welcome to my stop on the Lovestruck Giveaway Hop hosted by Under the Covers Book Blog. What can you win from my stop? I'm offering a $10 Amazon Gift Card or a book from The Book Depository for up to $10. The theme of this hop is about being lovestruck -- and one hero came to mind immediately: Julian Spenser, the Marquess Dryden from Julie Anne Long's How the Marquess Was Won. I had thought myself immune to romance novel book covers and was never affected by the Fabio covers of the 80s and 90s -- and had happily thought I would continue that way until now. But then, I saw the cover for Julie Anne Long's book -- I read the excerpt and then I read the book -- and then, the unthinkable happened: I fell. Hard. For the hero of the book. What was it about Julian Spenser? The cover and the story portray him as the Regency equivalent of a rock star: people emulate him: his style, his manners, everything -- but Jules isn't impressed with himself and is looking for a sincere connection -- and he finds it in the most unlikely place: far from London, in Pennyroyal Green -- with a schoolteacher named Phoebe Vale. And it didn't stop there. That one instance opened the floodgates and I started paying attention -- started reading other authors' and bloggers' imaginary casting calls for novels. And started falling in love with more romance novel heroes along the way. I love, love, love intelligent heroes and Leo is a math genius. And he's handsome to boot. It is this combination that puzzles Bryony, who has never felt beautiful in her entire life. She proposes marriage to Leo and Leo says yes -- because Leo has always, always loved Bryony, and has tried to make her realize this. Despite their estrangement, Leo travels to the far end of the world to find her and bring Bryony back home to her sister. The trip is outside Leo's realm of experience and comfort, but he braves the dangers of India for her -- in the process, both discover a love and passion for the other that bring them together (and home) in the end. Ah, Griffin is my anti-hero of sorts. He's a lord who runs an illegal gin distillery -- but not for nefarious reasons. No, he does it to save his family from his older brother's recklessness. Hero Batten is the perfect lady who is doing charity work at the foundling house run by the Makepeace siblings. It's a case of opposites-attract and sparks fly whenever our hero and heroine are together. *This giveaway will run until August 20. Hop on to the other blogs! Enjoy! Thank you for sharing that amazing quote! I checked out Diana Quincy and she's a new-to-me author -- I've put her debut novel on my TBR pile. Thank you for joining my giveaway! Have a great day! Great post about heroes! Loved your book selections. Thanks for sharing and thanks for the great giveaway.